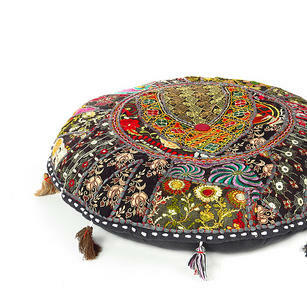 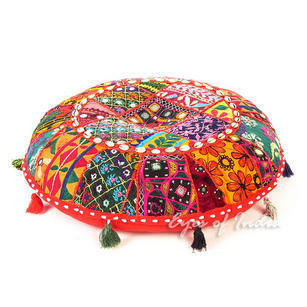 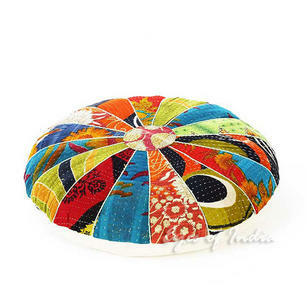 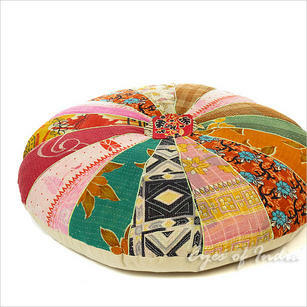 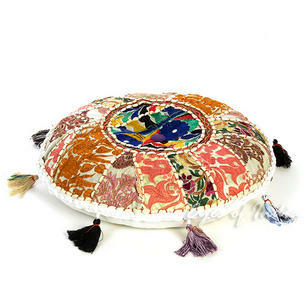 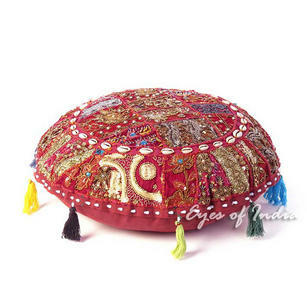 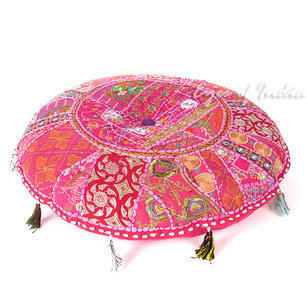 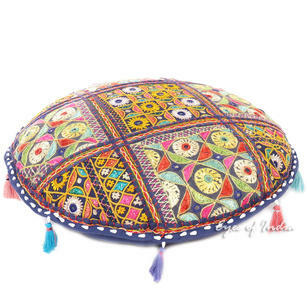 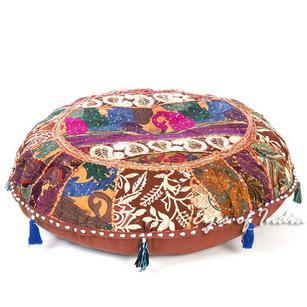 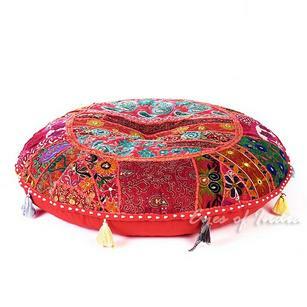 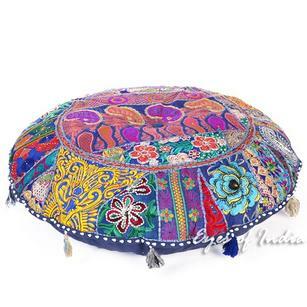 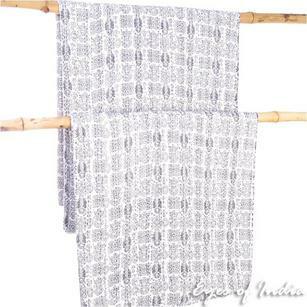 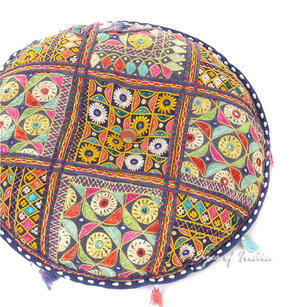 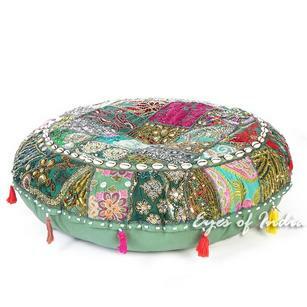 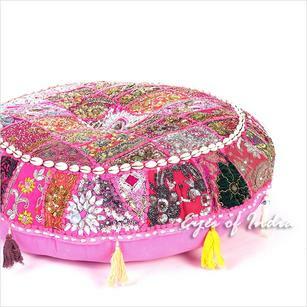 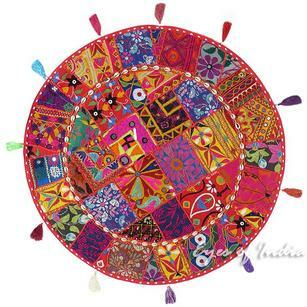 From Varanasi comes this beautifully exquisiti "Kali" floor pillow cover overlowing with Kantha embroidery. 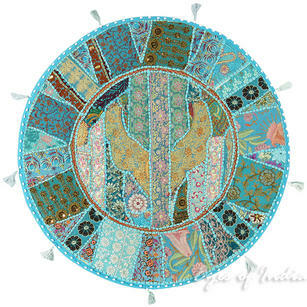 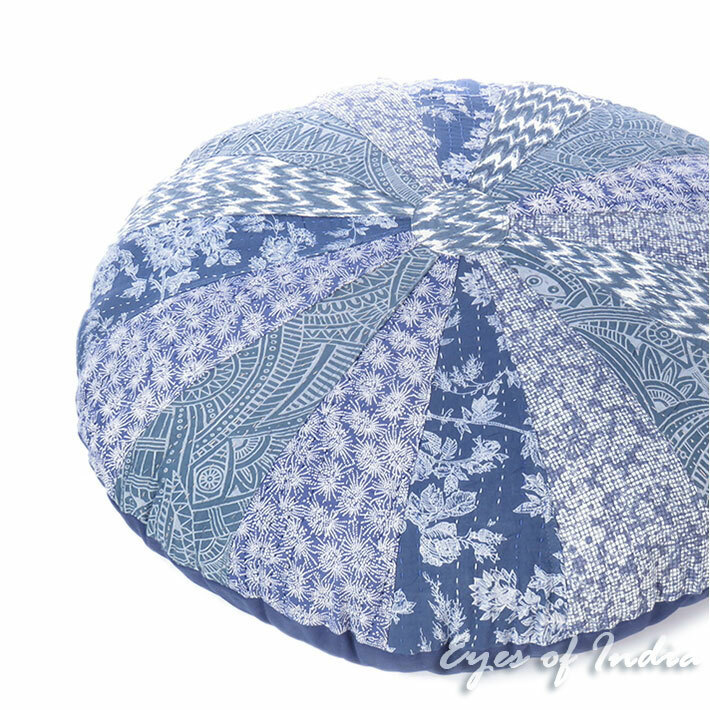 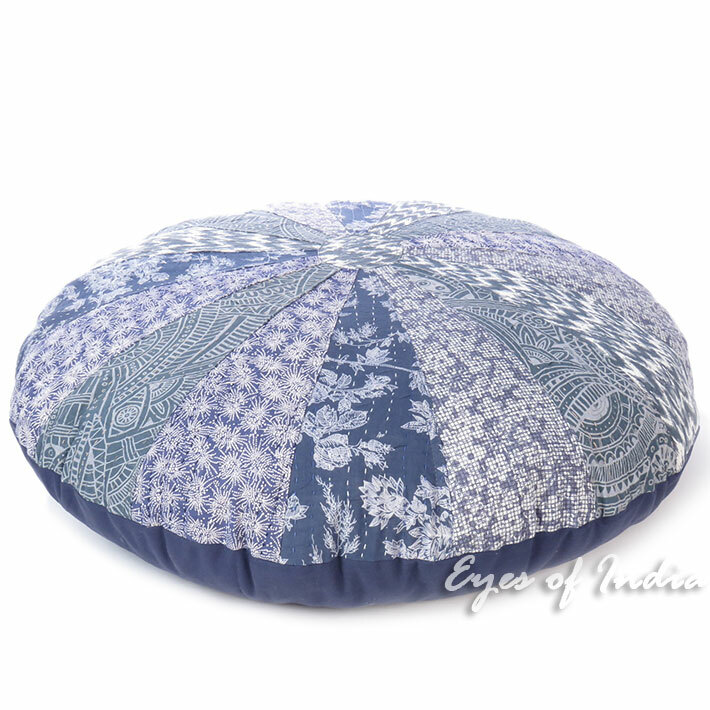 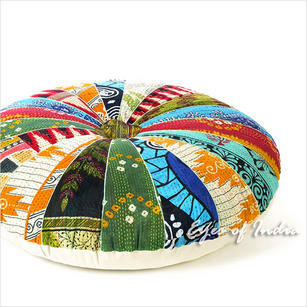 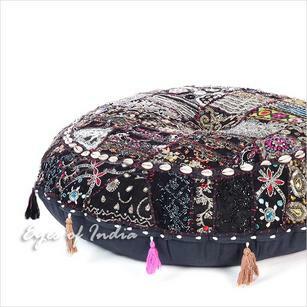 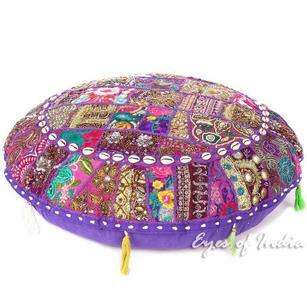 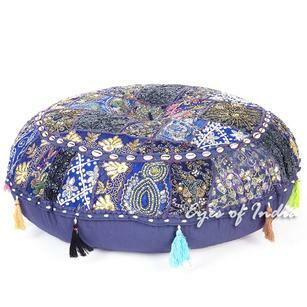 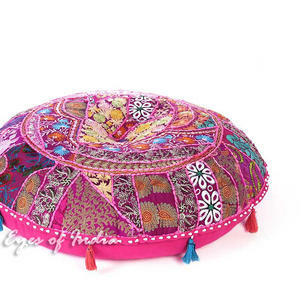 Overflowing with indigo prints this floor cushion is visually stunning. 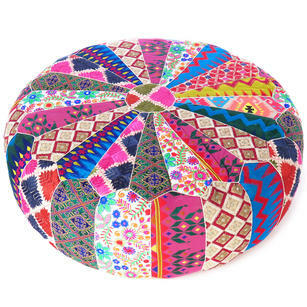 Easily fill it with our 32" round insert or any filler of your choice to create extra seating or a foot rest.